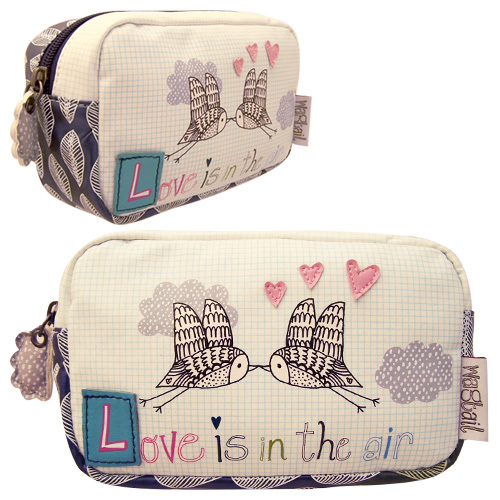 My latest range for Disaster Designs is called With Love and is now in the shops. 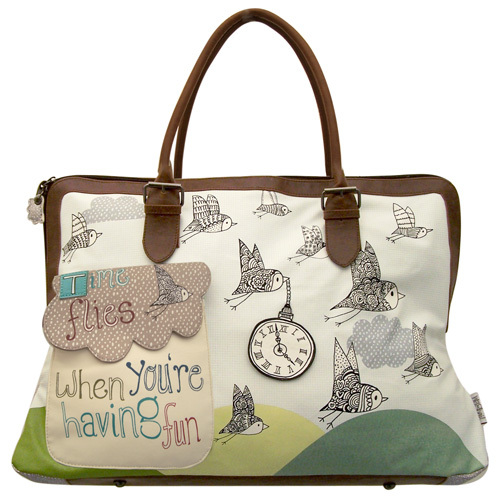 Even though it’s not in my doodle style I was really pleased with how it turned out and it has been a big success so far. 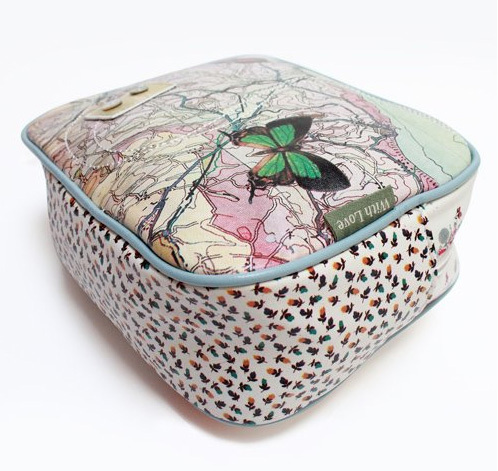 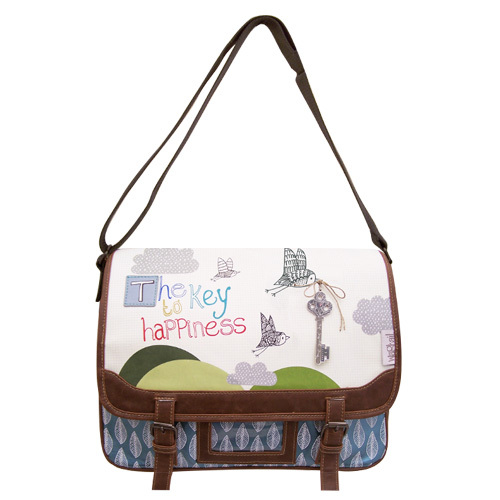 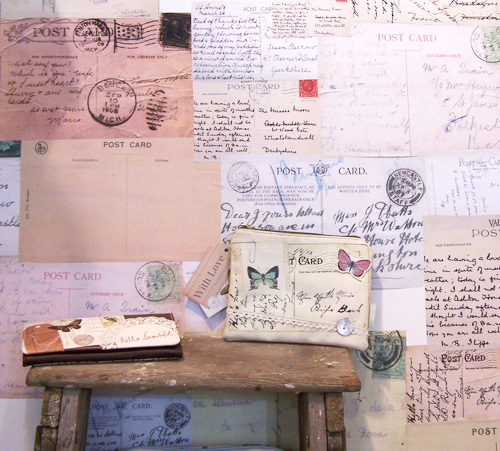 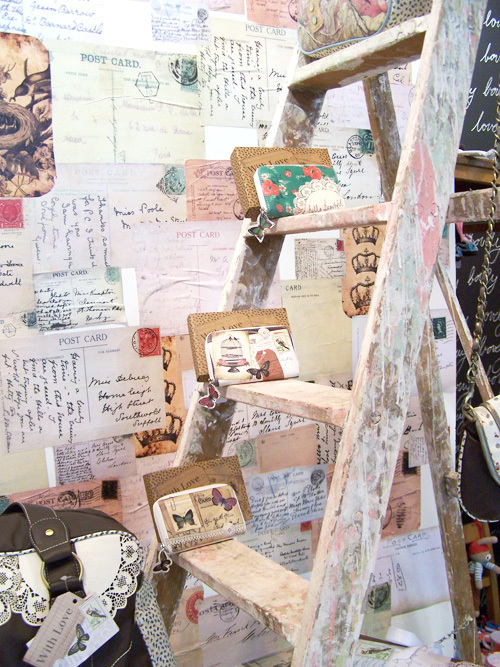 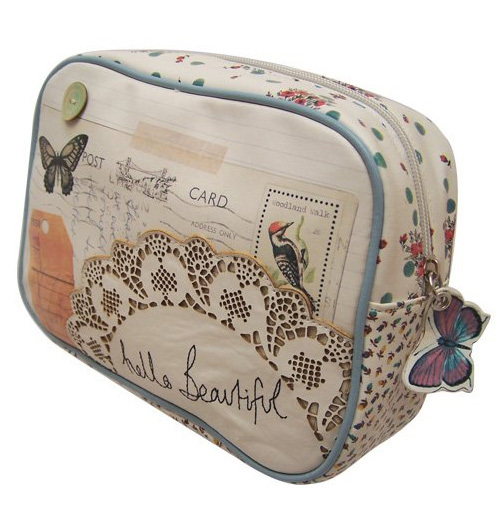 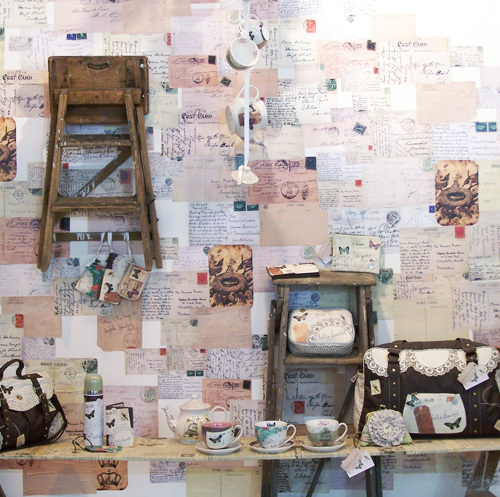 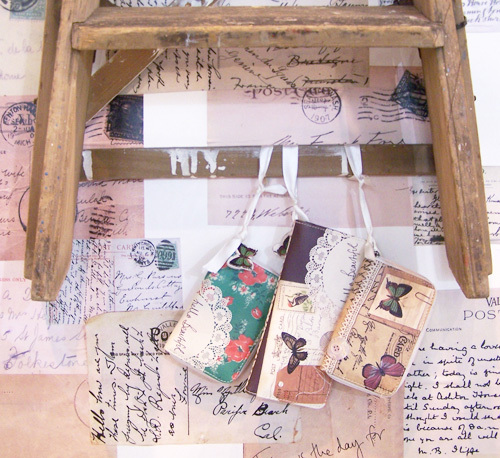 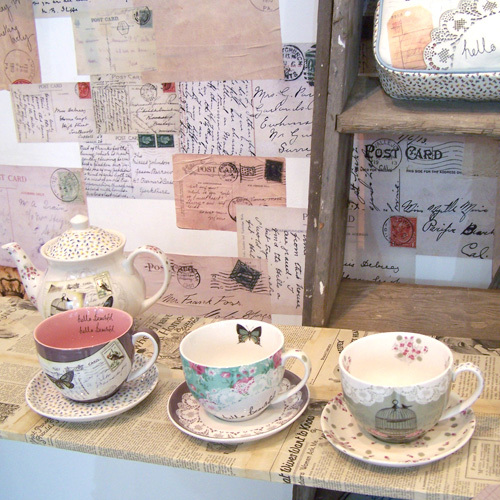 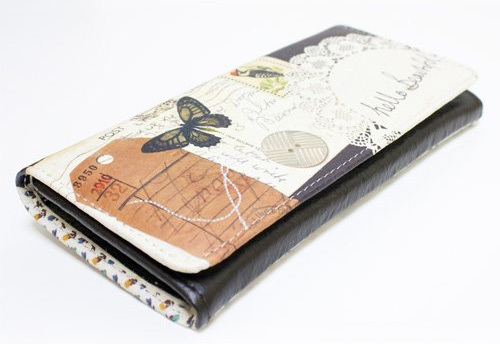 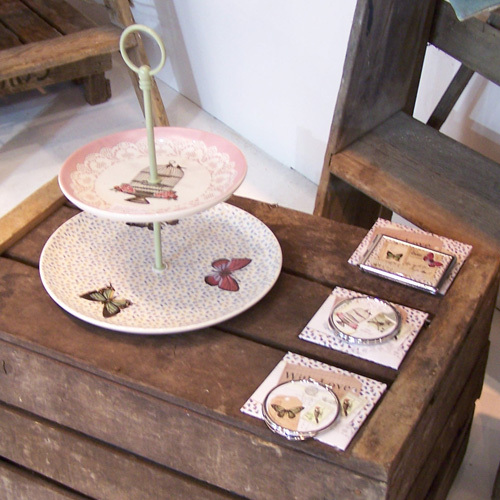 It features postcards, butterflies, woodpecker stamps, newspaper print and buttons. 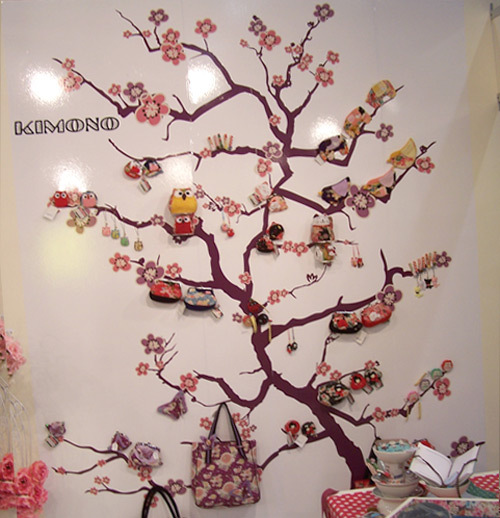 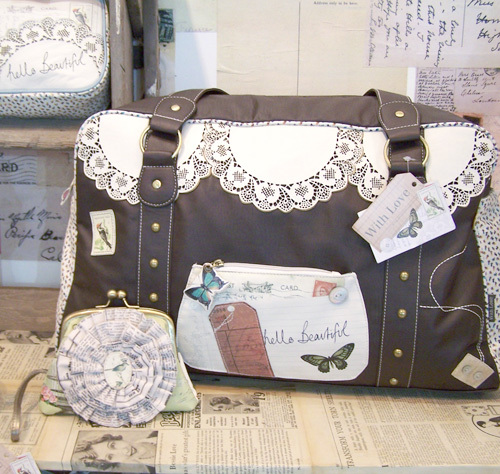 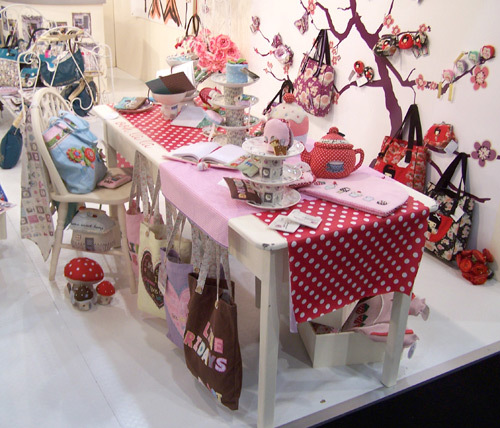 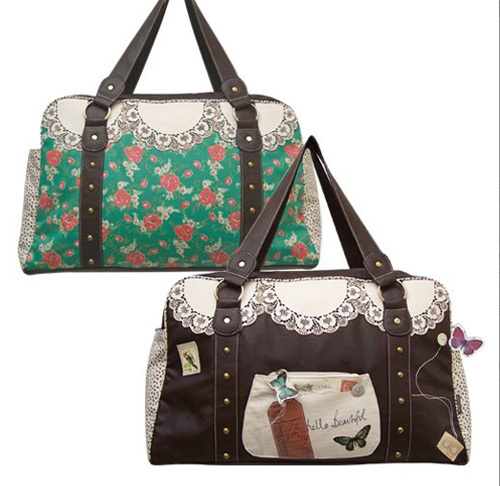 I probably love the satchel and overnight bag the most and was also pleased with how pretty the teacups looked. 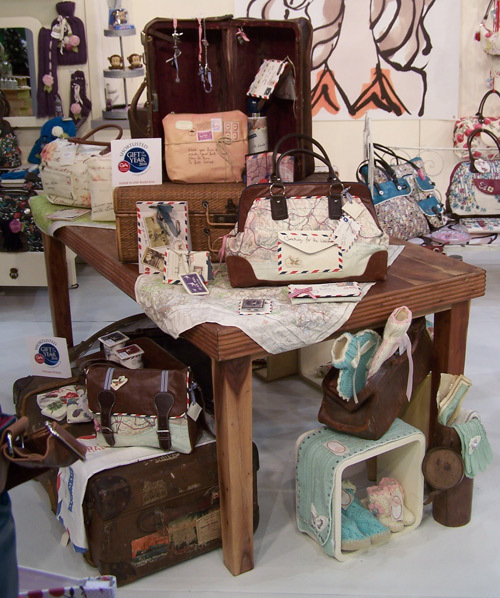 We exhibited the range at the Spring Fair in February and the display looked fab and everyone seemed to love it which was good. 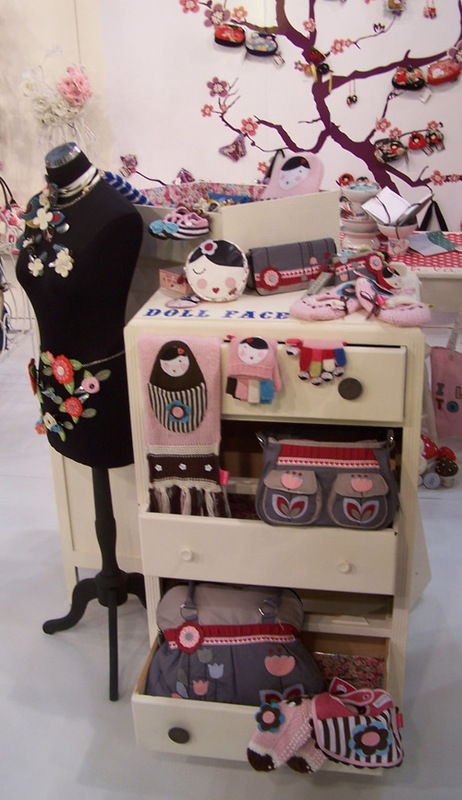 You can buy the range here on Little Moose or you can contact me if there are any other items from the collection that you’d like to buy. 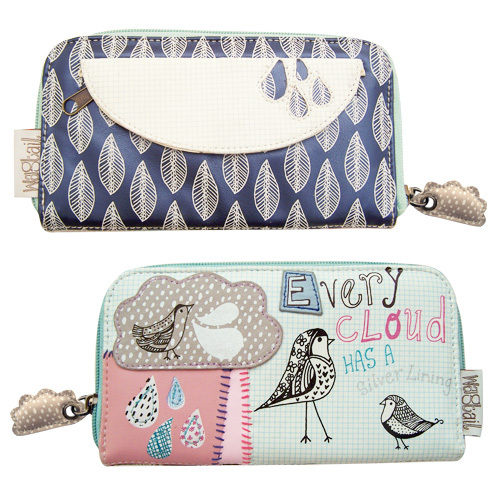 One of my most recent ranges for Disaster Designs is now available to buy in the shops! 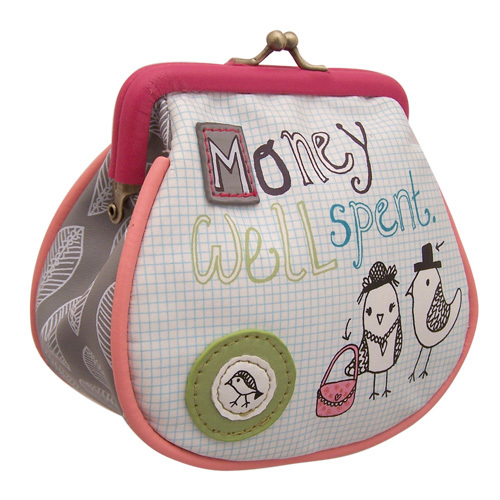 I was really pleased with it as it was so fun to design and am really happy with how all the products look. 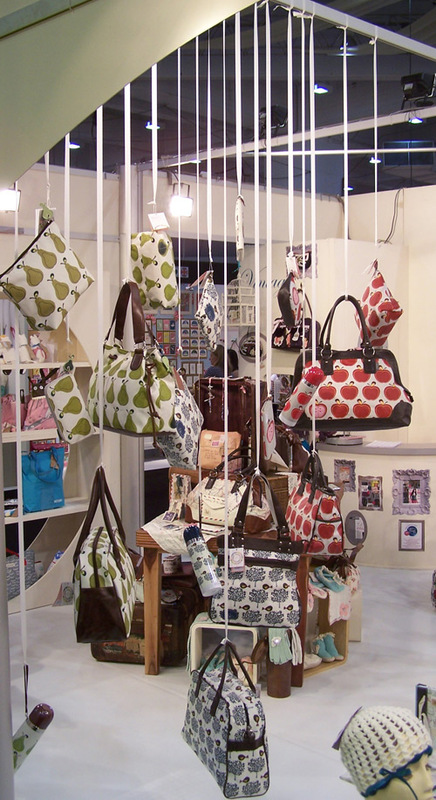 I think my favorite pieces are the weekend bag, the wallet and the vanity case but it’s been great to see how everything from the range seems to have been a success! 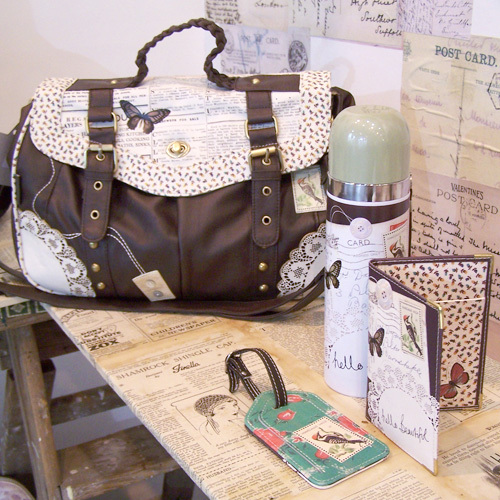 If you would like to buy anything you can purchase it here from Little Moose. 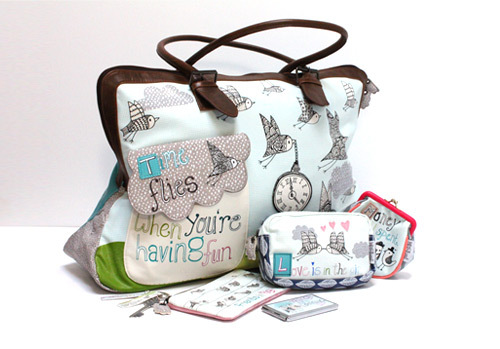 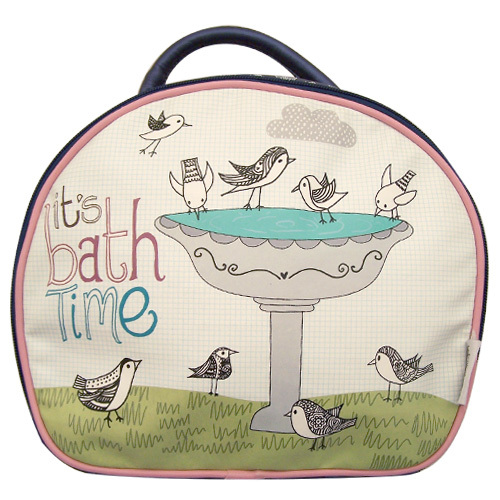 My Wagtail range is a Gift of the Year finalist! 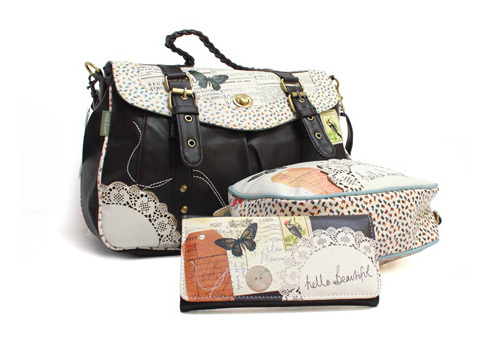 I was excited to discover that my latest range for Disaster Designs called ‘Wagtail‘ is a finalist for the Gift of the Year ‘fashion accessories’ category. 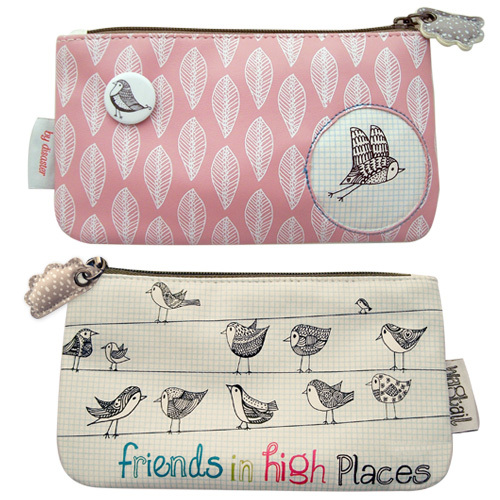 I really enjoyed designing the range, which is based around birds and cute phrases, and was thrilled with how pretty everything looks! 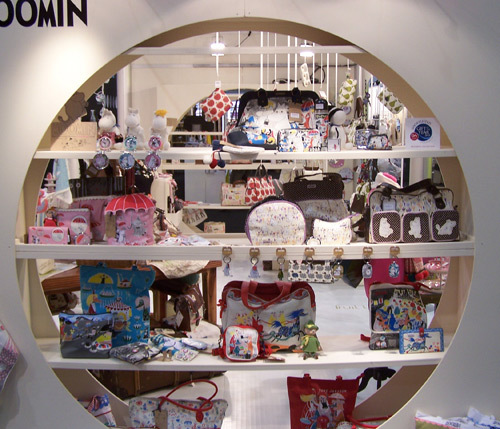 If you are wondering where you can purchase anything then take a visit to Little Moose which stocks most of it. 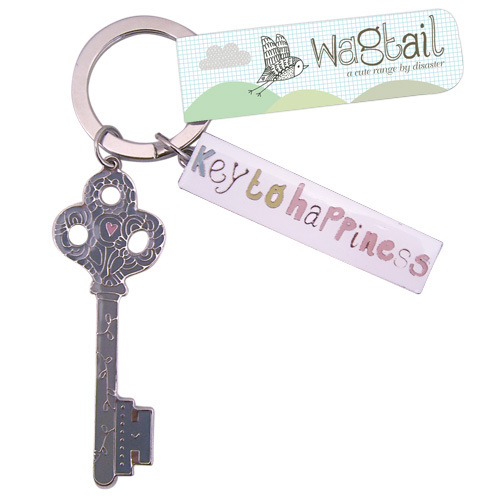 Yay we won Gift of the Year in 2 categories! 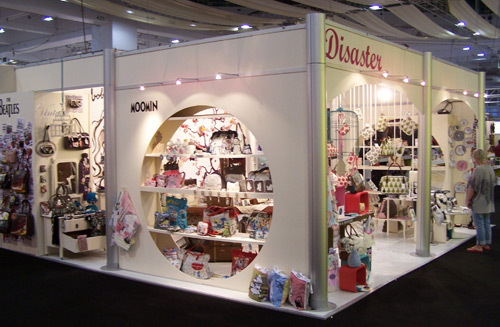 After the exciting news that Disaster Designs were shortlisted in 7 categories for Gift of the Year we were even more thrilled to discover that we’ve gone on to win for 2 of our ranges. 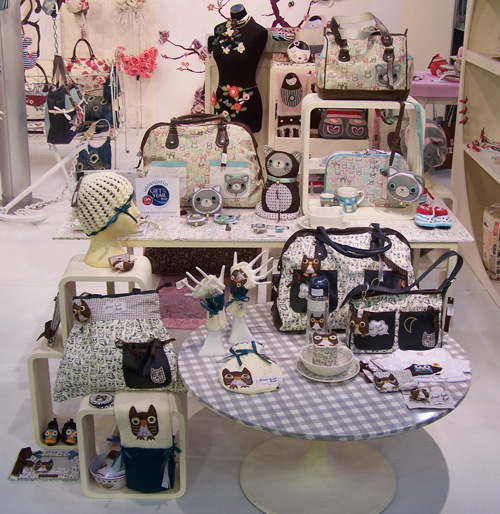 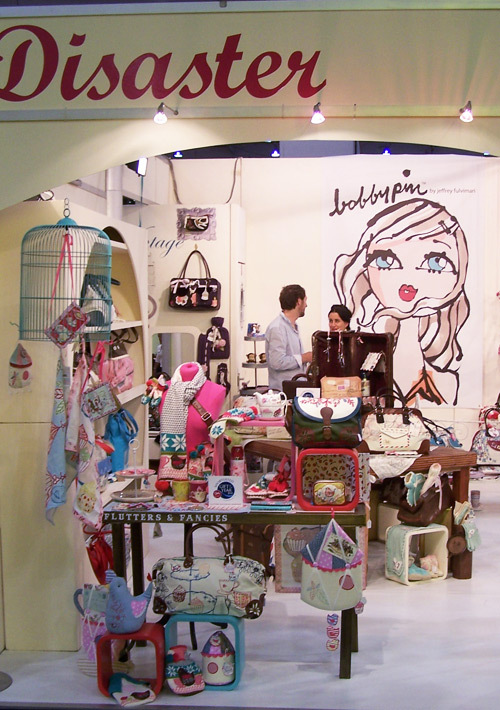 I’m so happy that one of them was my Hello Sailor collection and the other was for our Moomins amazingly cute bag range. 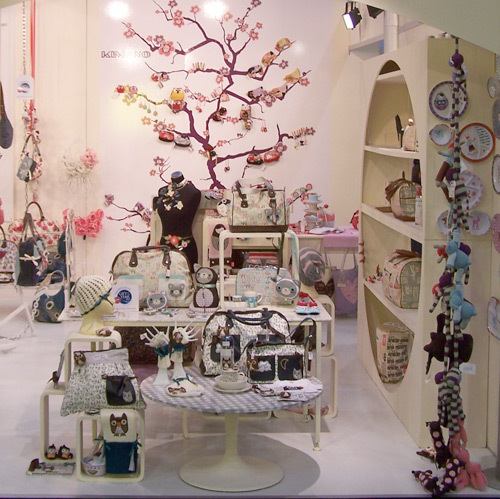 The Gift of the Year competition is run by the Giftware Association to reward products of excellence in the giftware industry. 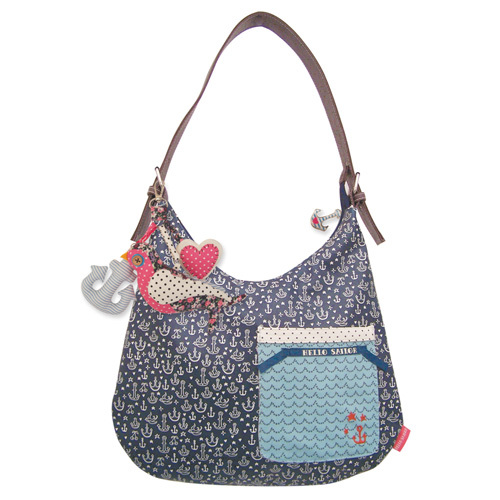 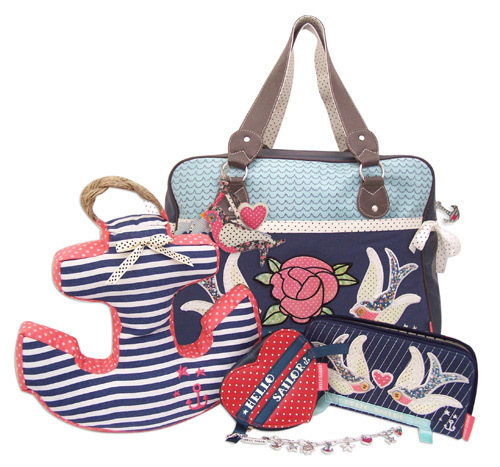 My Hello Sailor range has a nautical and tattoo-style influence with pretty floral detailing. 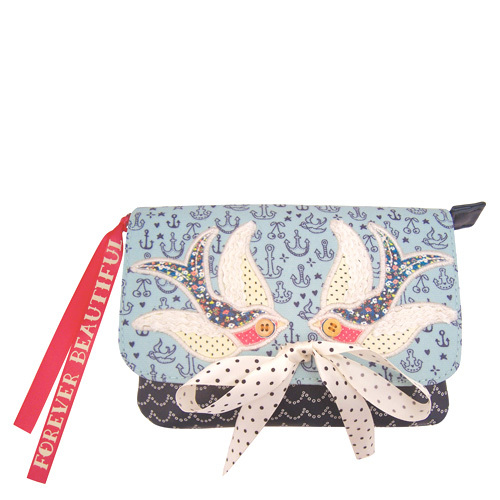 I also managed to include some of my doodles on it by creating a cute little anchor and bird pattern for it. 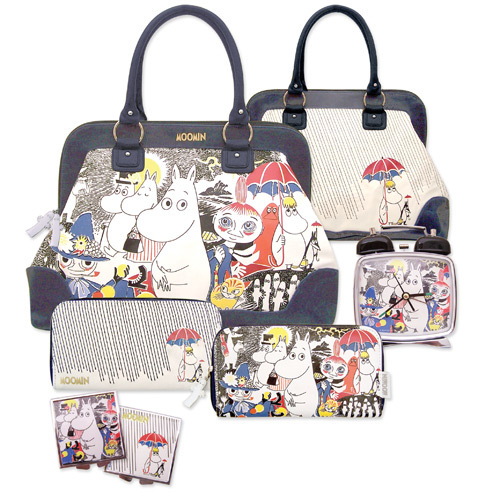 The Moomins comic range is based around one of the Moomin comic book covers. 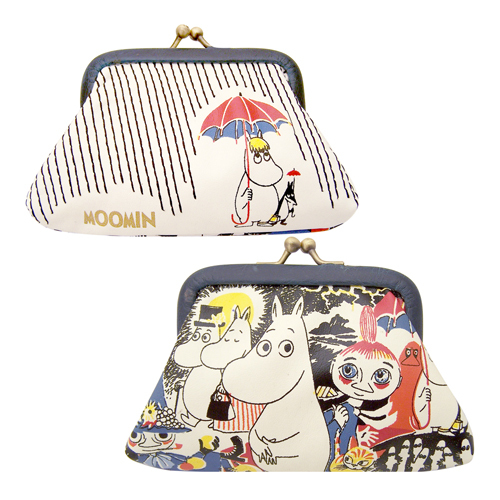 It’s so cute and I especially love the embroidered rain and cute Moomintroll holding an umbrella on the back of everything. 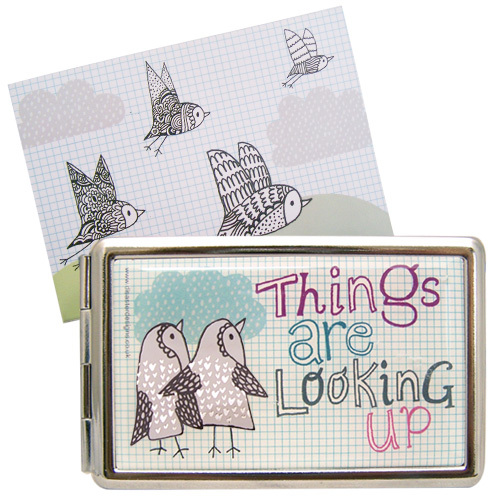 You can buy these lovely products from my online shop www.littlemoose.co.uk or you can contact me if you would like any further information. 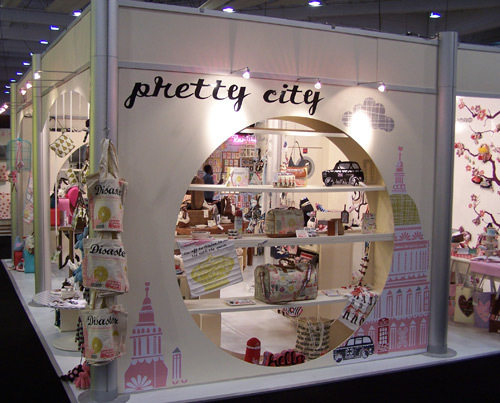 Thanks to our fab new team member Neil, our show stand is starting to look much better and looked great at the Pulse show in Earls Court, London, last week. 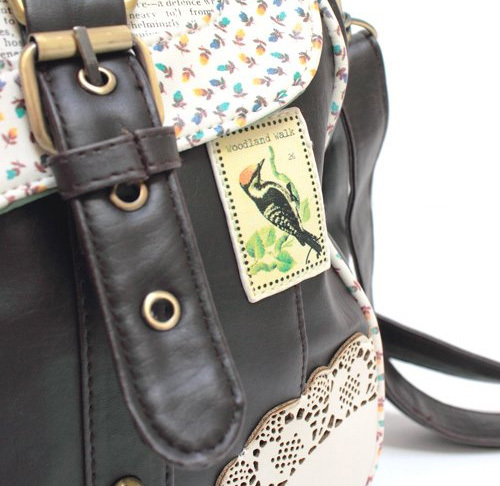 Some of the pictures could be better but here’s a little peek of how it looked. 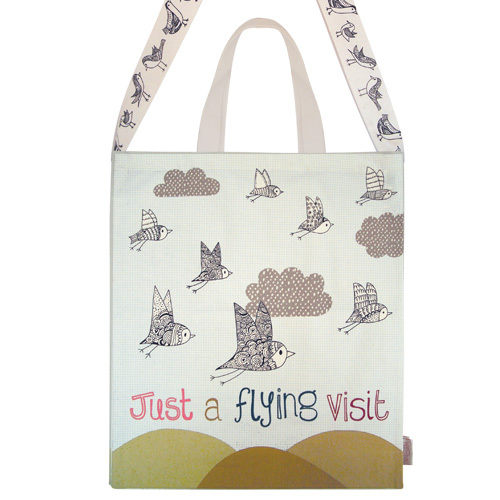 You can also buy some of these lovely products from my online shop Little Moose. 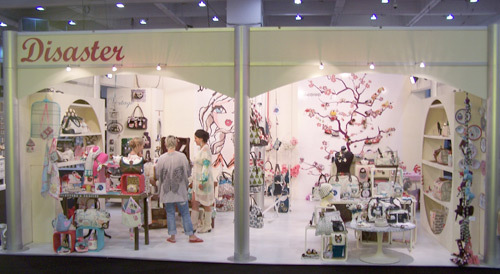 © 2011 Carrie Lewis All Rights Reserved.